The Spanish Extra Virgin Olive Oil is a supreme delicatessen, with delicious flavour simply unsurpassable. It is the base of most of the recipes of the famous Mediterranean diet, whose source of the fruit (the olive) is cultivated in the Mediterranean basin for over 5,000 years. 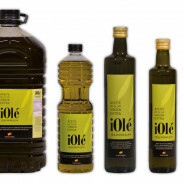 The olive oil iOlé comes from the towns of Ubeda and Cazorla, in the middle of the Natural Park of Sierra de Cazorla, in the southeast of the Province of Jaen (Spain). 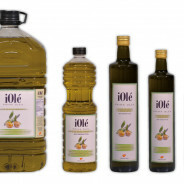 The Denomination of Origen Sierra de Cazorla is from this region, where the olive oil iOlé is attached to, and it is the protected area with the largest production of olive oil in the world. 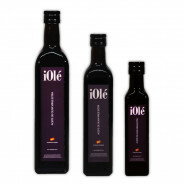 This oil is of the highest category, obtained from cold pressing of selected olives, which are the best expression of the Mediterranean flavour. The extracted oil has a low grade of acidity (below 0.8% in oleic acid), which allows it to preserve a great aroma and flavour. Its main distinguishing features are the colour and the flavour, which give it some organoleptic characteristics that make it different and special compared to other oils. In the case of extra virgin olive oil, during its production it doesn´t get into contact with any chemicals or organic solvents: it is natural juice without any additives, coming from olives grinded by physical means. That is why it is the most natural of all kinds of oil; it is a protective and regulatory product that balances our health, among all the benefits the cholesterol control is highlighted, thanks to the oleic acid in its composition. Moreover, it also has antioxidant components that are helpful to prevent aging; therefore its use is highly recommended. The Extra Virgin Olive Oil provides many benefits for the health thanks to its high level of monounsaturated fatty acids (oleic acid) and natural antioxidants, which are essential for our body. 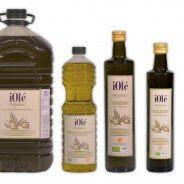 The presence of oleic acid in the olive oil can regulate the cholesterol levels in the blood, decreasing bad cholesterol (low quality lipoprotein (LDL) without impairing the cholesterol known as the good one (high density lipoprotein (HDL), therefore it improves the blood circulation. The polyphenols, natural antioxidant that olive oil contains, destroy the substances produced by the proliferation of cancer cells. Olive oil is a great source of Vitamin E: two spoons of olive oil per day could contribute half of daily recommended Vitamin E. The presence of unsaturated fatty acids gives advantages to the metabolic functions and the brain development due to the help of the formation of cellular membranes and brain tissues. For people with diabetes, the Extra Virgin Olive Oil helps to lower the blood sugar levels, thus they would need lower doses of insulin in this way. One of the many benefits that the olive oil provides is to improve the functioning of digestive system, which is the reason that it is considered as a stomach protector, and it also stimulates the calcium absorption. The difference between the Extra Virgin Olive Oil and the rest of the olive oils lies in the way in which the olives are processed. 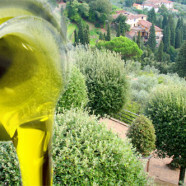 In order to produce the Extra Virgin Oil, the olives, immediately after the harvest, undergo a process of cold pressing. The extracted oil has a low grade of acidity (below 0.8% in oleic acid), which allows it to preserve a great aroma and flavour. It is ideal for dressing salads, sauces or seasoning dishes to entirely retain the characteristics of the fruit from which it comes from. The process of the cultivation and harvest of the olive is completely handcrafted, because the care for the olive fruit and the family, the composition of the soil in which it grows, the earth orography where it is placed, the circumstances in which the olives ripen, how careful the harvest and the grinding were carried out, including the climatology of each maneuver, all affect the level of some tasting parameters that always change.